Since the new 2007 Mitsubishi Lancer is coming soon, I decided to dig up some details on the new GEMA engine under the hood. The previous Lancer that is on sale on our market now uses the all-familiar 1.6 litre 4G18 engine, similar to the one that we used to find under the hood of our Proton Waja, with one of the few minor difference is that the Waja uses a 4-speed auto while the Lancer uses a CVT. The new 2007 Lancer has it’s engine upped to 2.0 litre, putting it head to head with the Civic 2.0. The new GEMA engine is a joint venture project between DaimlerChrysler, Hyundai and Mitsubishi. 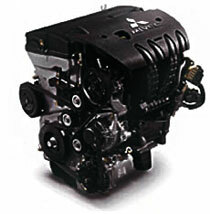 Hyundai has yet to use the GEMA engine in any of it’s cars, while DaimlerChrysler’s now-sold-off Chrysler used it as it’s flagship 2.0-2.4 litre. The GEMA engine is called the 4B1x series in Mitsubishi terms, and the 2.0 litre model that we will see in the 2008 Lancer is the 4B11, with the Lancer Evolution getting the 4B11T. 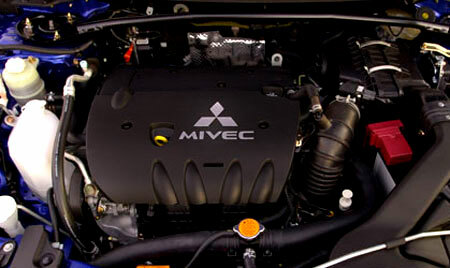 It is probably the first time a non-Sirius engine has been used in a Lancer Evolution. All Evolutions, from the Evo I to the Evo IX used some variant of the Sirius 4G63T, with the latest in the Evo IX getting MIVEC variable valve timing. While most engines are usually either bore-biased (rev-happy) or stroke-biased (better torque), the new 4B11 is a “square” engine – it has a bore and stroke that both measure 86mm, giving a good balance of rev-happiness and good torque. It uses as compression ratio of 10.0:1, but can still use RON92 (87 AKI) fuel. 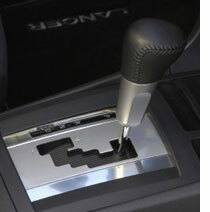 The 5-speed manual is an improvement over the old 5-speed transmission – the third and fourth gears now use double-cone synchronisers for smoother shifting and a new honing process was used to reduce noise. The gear ratios have also been adjusted to suit the torque curve of the new engine. Something alot of people miss when switching from conventional fixed ratio gearing to CVTs is the lurching feel when you floor the pedal from a stand still. The way a CVT-equipped car starts may be interpreted as sluggish by our minds – this is known as the rubber band effect. INVECS-III can simulate this lurching that the driver expects. UPDATE: Look at two videos after the jump explaining some technical details on the 4B11 as well as it’s matching INVECS-III CVT gearbox, thanks to reader Rikeys. 2007 Mitsubishi Lancer spotted on the LDP! 2007 Mitsubishi Lancer in Malaysia – Q3 2007?